For more than a decade, Jason Fried has been breaking and rewriting the rules for how we work. Jason is the co-founder and CEO at Basecamp, a suite of collaboration tools that helps teams work better together, wherever they may be. You may have caught his countless essays over the years at Signal v. Noise, and he’s co-written three best-selling books – Getting Real, Rework and Remote. Each chronicles smarter ways to work. I caught up with Jason to get his take on when it’s time for a major product overhaul (a challenge he recently undertook with Basecamp 3), how a chat-first mindset can be detrimental to an organization’s communication structure, why Basecamp remains a relatively small organization despite generating tens of millions in revenue and profits, and much more. When enough new perspectives or ideas pile up to the point where updates are no longer practical, Basecamp hits the drawing board on its next ground-up product build. Find the aspects of your users’ job that will never change, and use them as the foundation for future iterations of your product. There’s a time and a place for chat software in the workplace, but a chat-first communication mindset can cause toxic distraction and employee frustration. Even with its lofty revenue, Basecamp has opted to keep its employee base small. The idea: Create great work, feel good doing it, and avoid feeling pressured by the sheer weight of a larger organization. Fried believes small businesses should grow carefully, and avoid the trend of seeking quick growth. That belief may just be the subject of his next book. Des: Jason, it’s an absolute honor to have you here. For the few listeners who don’t know what Basecamp is, could you give us a quick summary? Jason: Basecamp is a collection of communication tools that teams use to get work done. It’s a way to organize the work that needs to get done and know what everyone’s working on. It’s focused primarily on small businesses. We’re not really that interested in enterprise stuff. Des: You’re skirting around the word “projects” there. Is that deliberate? Jason: Yeah, projects are part of getting work done, but a big part of working together is sharing other things that are not project-related. What everybody’s working on, doing, or thinking about at work doesn’t always relate to a project. 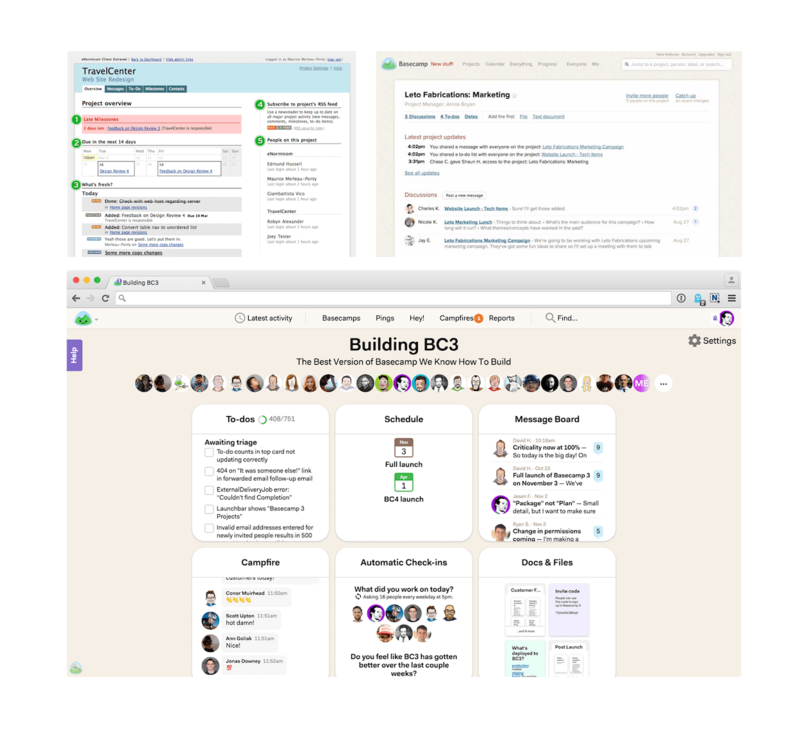 While people run projects with Basecamp, they also run their company. They talk generically about what’s going on at the company: company news, company ideas, company discussion, company chatter. It’s broader than just projects. Des: When I started using it way back in the early days, you were probably a bit closer to using the word “project.” Did you find that restricts people’s thinking about what they can use it for? Jason: It’s also followed our own evolution. When we launched Basecamp back in 2004, we built it for ourselves. We were a web design company at the time doing work for clients, so pretty much all of our work was project-based work. We’d be hired by somebody and have to deliver a project, so projects was the thing. Over the years we’ve been using Basecamp differently. We still do lots of project work for ourselves, but we also have teams, we also have company-wide initiatives that we don’t consider to be projects. Things that are perpetual. We started noticing our patterns and other companies started following our patterns. We realized “projects” is too small of a word. We get that. But there’s so many other reasons to keep using Basecamp for other things, which we haven’t been doing a good job of explaining. By eliminating the word “projects” from the product we’ve helped people be more imaginative on how they can use Basecamp internally on things that are not just project work. Des: There’s an interesting parallel. I used to draw a Venn diagram to show all of the things somebody does in their life and then look at the tiny subset of things you actually want to share on Facebook. I use that as an example to show why Snapchat could, in theory, be bigger, because there’s a lot more stuff you do that you’re happy to share with some people, just not the entire world. With Basecamp there’s a lot of stuff a company does. Only a small number is actually in that bucket called “projects,” which have a start date, stop date, and completion criteria. Is that the way you think about it? Jason: Yeah, I’ll give you a practical example. David, who’s my co-founder, me, and Ryan, our strategy guy – we have Basecamp set up just for us three to talk about product strategy. Product strategy never starts and never ends. It’s an ongoing, perpetual thing. It’s not a project, it’s an initiative. It’s something we’re working on all the time, so we have a Basecamp just for us three to discuss potential ideas. We put pitches up for one another to consider. We talk about stuff that’s higher level before we share it with everyone else in the company. That’s not a project, that’s a team of three people thinking about things together, working on things together, keeping track of the stuff we’re all doing together. We also have a Basecamp set up internally, called the “small council.” The small council is every department or team lead gets together roughly once a month and has a meeting. Prior to that, we put up notes, ideas, tasks for one another to complete. This also is a perpetual, ongoing thing, so it’s not a project. 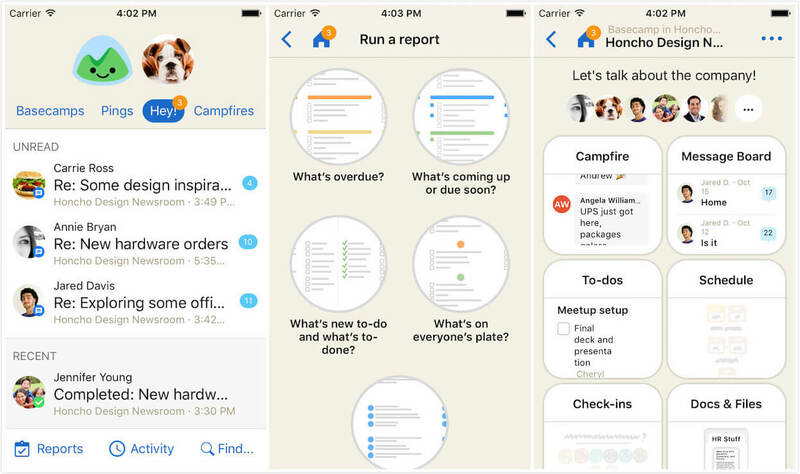 Basecamp is wonderful for these sort of constant, perpetual initiatives, things that are always going on in a business that don’t have start dates and end dates. They’re just things that happen. Every business has those. Des: One thing that’s really interesting to me is how your release patterns have changed. You now seem to release a new ground-up version of the product every few years while still maintaining the previous ones. Why are you doing that? Jason: It’s averaged out to about every four years we do a major new release, ground-up. We do that because at a certain point, you achieve the “local maximum.” Think about it like a car. Cars have generations. You have the Porsche 911, which has been around for 50 years. You have the Honda Accord, which has been around for 40 years. But every 5, 6, 7 years, there’s a new chassis, a new engine, a new idea. They start over from scratch, but it still follows the same pattern. Basecamp 3’s all-new Reports feature is informed by the Jobs-to-be-Done framework. Des: It’s interesting, you’ve built a product three times now. You get something not a lot of product people do, which is three different stabs at the same job. Does your knowledge about how teams get work done evolve each time or does it expire? Have you had to throw your old assumptions away or do you just get sharper each time? Jason: I hope that we’re getting sharper about things. We’ve realized, and this took us 12 years, there’s six things that every team needs to work together. You need a way to make announcements. Big, thoughtful, complete write-up announcements that you want to make sure that everybody sees. We have a feature in Basecamp basically called the message board, which is a traditional threaded-style message board where you can send out announcements that go out to everybody and they’re delivered to people. 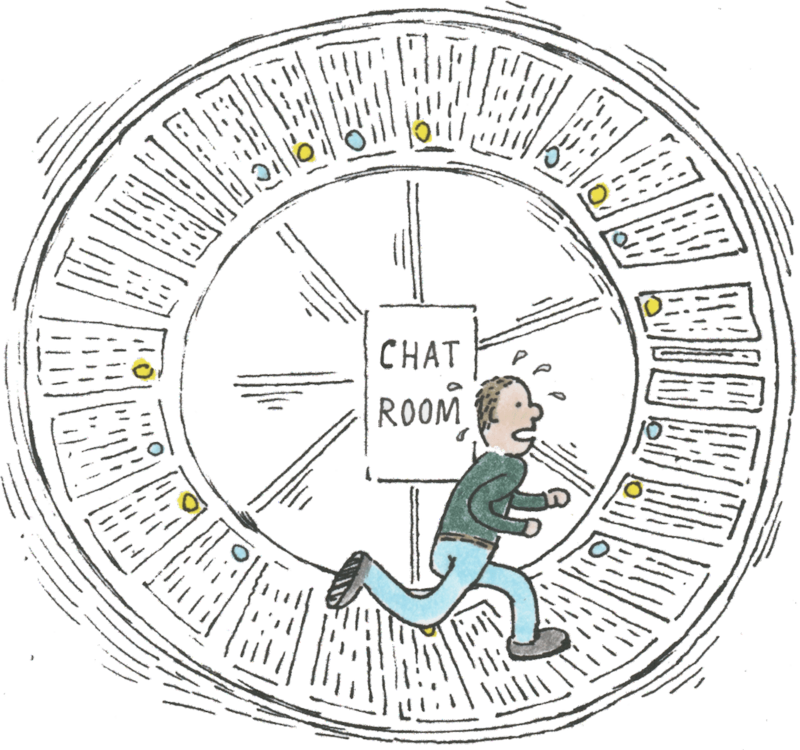 It’s a very different thing from like a chat room, where things are maybe seen and maybe not. We have chat. 10 years ago we made something called Campfire. There are many different chat tools out today. 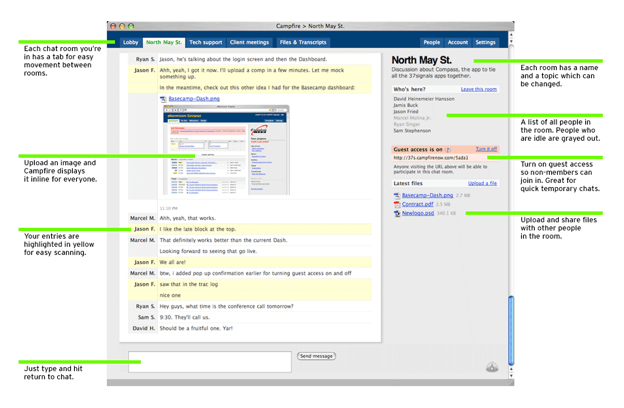 Chat is now built into Basecamp for the first time. Teams sometimes need to hash things out quickly, not write things out thoroughly, so chat is for that. Every team needs a way to divvy up and organize the work that needs to get done. That’s what to-dos are for in Basecamp. There’s artifacts of working together. Documents, files, spreadsheets, PDFs, guides of some sort, things that are artifacts. Those live in a Basecamp. Last, one of the newest tools we have, is about this idea that everybody has something in their head that they don’t volunteer unless they’re prompted to. The idea is if you want answers from people, you have to ask questions. If a person asks a question over and over that would feel like nagging. If a system does it, it’s more of a process, so in Basecamp 3 you can set up automated check-ins, where you can ask people things like what’d you work on today, what do you plan on working on this week, what books have you read recently that you think would be interesting to share with the rest of the company? We ask a question internally, “what do you look like?” once a week because we don’t see each other very much, we’re a remote company. People share photos of themselves or their life. These are the six things, they’re all wrapped into one product, and you can replicate that with as many Basecamps as you want to create. That insight only came after observing teams for 12 years. We didn’t know that all those different pieces were part of the puzzle. We knew of some, but we’ve been adding new ones over time. Now we feel like we have a very complete, single product that can replace four or five other individual pieces that people try to assemble themselves. We’re trying to make one tool instead. Those are insights that only come from being around the problem for a long period of time. Des: Yeah, it’s like the Jeff Bezos quote, “Focus on the things that don’t change.” It sounds like you’re relatively committed to the idea that the six artifacts you use won’t be changing anytime soon. Would you foresee them all featuring in the next Basecamp? Jason: I don’t know, but what it seems to me is that these are sort of fundamentals of working together. Some people assemble a wide variety of tools to do it. We offer one tool to do it all in one place. There may be new tools that come down the pipe. Three or four years from now there might be another thing we think of. We might add a few more tools over the next year or so. All the way from Basecamp 1, we’ve always had to-do, we’ve always had a message board, we’ve always had some form of scheduling or milestones or dates. We’ve always had a place to store files and share files that are important to the team. Some of those things have carried through and new things have come along along the way, and some of those things have changed shape over the years, but it seems what we’ve noticed, at least over 12 years, is that there’s some fundamental things. This is where we’re at today. The Campfire group chat app as it looked shortly after launch in 2006. Click to enlarge. 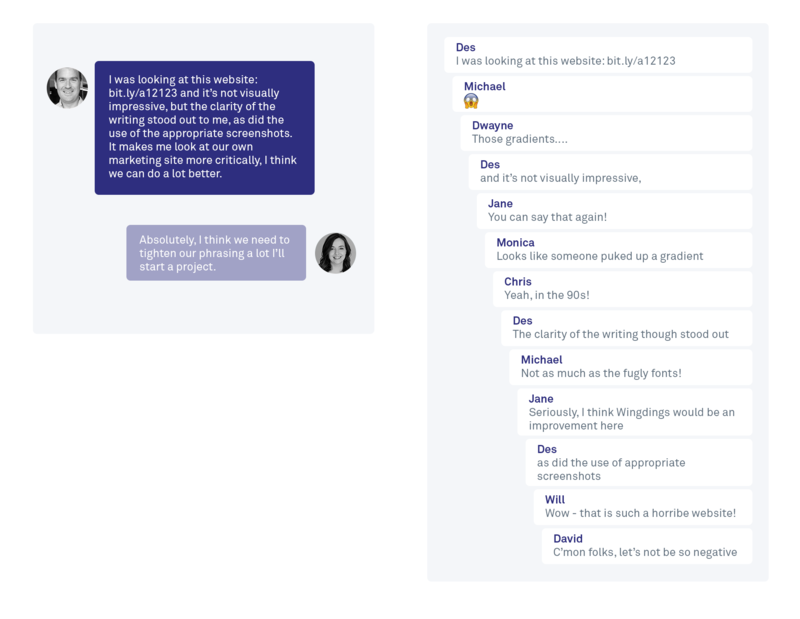 Des: Given you effectively invented team messaging software a decade ago with Campfire, it would have been very easy for you to ride the recent wave of publicity around messaging, but you’ve taken a counterpoint by questioning the idea that messaging should be used for everything. You’re suggesting there are certain types of conversations that only make sense in long-form, and maybe some of the rest that only make sense in short-form. Could you expand on your thinking here? Jason: There’s a trend right now where chat-first is becoming a primary method of communicating across a team, or across a group of people. Chat has its place. It’s a wonderful way to hash things out quickly that need to be truly discussed right now, but in my experience, very few things need to be discussed right now. In fact, many things are better fully laid-out, and people given time to absorb and consider and then respond on their own schedule. Chat is elevating everything to now. Everything’s becoming real-time, which is an incredibly toxic distraction when at work. When everyone needs to be paying attention to this stream of conversation all the time, it’s very difficult to focus on anything. It’s also very difficult to make a decision when things are moving quickly on a conveyor belt – that if you don’t respond now, you’re not going to be heard. Things are going to scroll away, then you’re going to feel like you always have to catch-up on the 147 lines that you missed. That is a terrible way to work. Illustration courtesy of Basecamp. Read Jason’s “Is Group Chat Making You Sweat?” post. There’s actually already people turning away from that. They’re like, “We tried this and wow, this is not better, this is not as promised.” It’s wonderful for social engagement and hanging out at work, which is valuable, absolutely, but it’s actually not a very good way to discuss most things meaningfully. We’ve noticed this in our own work over the years. We think chat is a piece, but not the first place to turn when you want to actually have a meaningful discussion. Most things that are discussed at work should be meaningful. Otherwise, you shouldn’t really be discussing them. Otherwise, you’re wasting a bunch of time, and pushing and squeezing out time that’s valuable to work on things that are meaningful. I believe in chat, I believe in group chat. It’s an important part of the tool-set, but not as the first place to turn. Things devolve and get worse. Most conversations do not get better in a group setting over chat. I think direct messaging, instant messaging between one or two people is actually quite good, but as the group gets involved you end up getting a lot of people just chiming in because if they don’t chime in right now, history will go on without them. Des: I agree with a lot of what you said there. Software is, most of the time, a model of the real world. You would never try to make an important decision between yourself and David with like 43 onlookers all waiting to chime in witty one-liners. Yet, that seems to be what we’re modeling. Jason: Part of the problem is that when you communicate one line at a time, it’s very difficult to get complete thoughts out, because complete thoughts typically have a back-story, have sort of a current and a future. A really well put-together thought is more complex than laying it out one line at a time. What happens is, when things are one line at a time, and there’s no sense in having the floor, anyone can jump in at any time because they don’t know where you’re going with the conversation. They don’t know where the full thought, when it’s going to end. They don’t know how long it’s going to be. With real time live chat, as illustrated on right, conversations can quickly go off-track. When you have a lot of people involved in a room, people chime in before you’re done. Then, things go off the rails pretty quickly. People get irritated because this is just a natural thing. When people are interrupting you and you have this idea, it’s hard to get it out. This happens in person. If you have too many people in a meeting this happens. The point is the method and the tool have a lot to do with the outcome you’re able to achieve. A lot of companies are rushing today. People are feeling more and more anxious at work because they’re chatting more frequently. People are feeling more anxious, and that is a sign of a broken idea. Go around and ask people, “Does work feel more relaxed or more anxious since you switched to chatting as a primary method of communication?” The majority of people are going say, “It’s crazy around here.” How is that possibly a good thing? I know it’s counter to the industry, and it’s something that we had to realize over the years ourselves. Other people will begin to realize it as they get deeper and deeper in this never-ending race to chime in. Des: Speaking of counter to the industry, Basecamp is 17 years old, with profits in the tens of millions…and is at about 50 employees. That’s a staggering ratio of profit to person. It’s fair to assume you could massively increase your headcount if you wished and still be very profitable; you’re choosing not to do that. Why? Jason: There are a lot of reasons. One is that David and I both don’t like the complexities of large organizations. There are exceptions to the rule, but in most cases things slow down. Communication is harder, it’s harder to be clear when you’re talking to people that have to talk to other people and have to talk to other people to get the message across. You spend a lot of time just dealing with the organization itself versus the work itself. There are examples of well-run large organizations. There’s no doubt about it; it’s totally possible. It’s just not an effort that we’re interested in making. We like keeping things smaller and more direct. Secondly, it forces us to not invent work to do. A lot of organizations get big and they begin inventing work to do because they have to keep people busy, and they think they must do all this stuff now. There’s also a sense of, it’s good to know everybody’s name. I don’t want to ever work in a place where I bump into someone and say, “Who are you? What do you do?” That’s just not satisfying or interesting to me. We just like the ability to create a very special experience for people who work at Basecamp; we do things that larger companies simply could not afford to do. We send everybody on vacation every year. We pay for their vacation. We put together a menu of vacations, wonderful trips, 16 different destinations around the world. Amazing vacations and experiences people could take their family on, and we pay for the whole thing. If we had 150 employees, I don’t know if we would do that anymore. I want to be able to do special things for people, create an environment where people can create great work, and feel good doing it, and not feel pressured by the sheer weight of a larger organization. These are personal preferences. They’re not right or wrong, they’re just right for us. Des: You are growing head count but doing so slowly and deliberately. Is it possible in five or 10 years you could hit 80, 90, or 100 employees? Or do you think you’ll personally make a decision to not do that. Jason: We’d like to not do that, but I’m a big believe in this idea of growing to the right size. The right size does not mean perpetual growth forever. It also doesn’t mean artificially keeping things small. Typically, we hire a few people a year. If somebody leaves, we don’t immediately fill the spot. This is a discipline thing. Typically, someone leaves, and it’s like, “Alright, we need to find someone to replace that person.” Let’s say there’s 13 programmers and one leaves? Now we’re down to 12. Maybe we should function with 12 for a while and see if we’re actually capable of functioning with 12. Maybe we didn’t actually need 13. Then there are deficiencies in our organization where we don’t have enough people on something and we’ll hire in different areas. I just think we’re thoughtful about it. We’re careful about it. Could we be significantly bigger in a certain number of years? That’s certainly possible if we feel like that would really benefit the company. 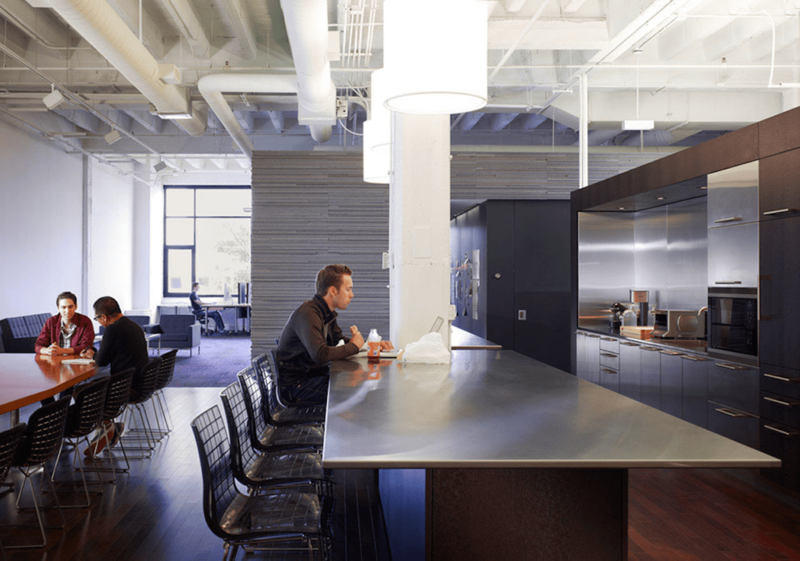 As you grow the number of people at the company the benefits aren’t necessarily clear. The costs are very clear, like “Wow, it’s hard to talk to everybody now. We don’t know people as well. It’s hard to assimilate new people into a large organization.” All these things become difficult. It’s less clear what the benefits are. Yeah, we can do more stuff, but did we need to do that stuff in the first place? These are just questions we ask ourselves. Jason: I think Getting Real was our best book because it was so pure. It’s just like, “This is what we think.” There was no pressure. We didn’t know if anyone would read it. We just wrote it as a manifesto. I do look back on it occasionally and remind myself that there’s some good ideas in there, some that we’ve actually strayed from. It’s always nice to pull ourselves back to some of that. I don’t really look back that much in terms of what impact it had. I know there’s a whole new generation of people who’ve never heard of it, so we’ve actually thought about republishing it or updating it in some way. I’m honored that a lot of people have read it and found it informative. It’s still very applicable even almost 10 years on now. It’s very easy to make things complicated. Some of the principles are just flat-out simple and we should be following some of that stuff again. Des: Is writing a book today for you and the company harder because the expectations are higher? Has it gotten trickier to be as pointed or take such an absolute stance? Jason: Naturally what happens is that as the company ages it becomes less sharp, in terms of having an attitude, because when you’re brand new you’re scrappy and you’re fighting against something. When you become established, you’re fighting against yourself because hopefully you’ve had some influence, and now some of your thoughts are mainstream. I want us to get scrappy again, because we have a lot of new ideas that are against the industry. I want us to go back in that direction. I don’t think it’s good to try and live up to other people’s expectations. We are probably going to write another book next year. I’ve got some ideas on that. I don’t want to think about, “Do we need to do a New York Times Bestseller again?” I don’t want to think about what are people going to think. I have to live up to my own expectations. Those are the only expectations I can ever understand. I think we just want to do a great job with it. What happens at that point is up to the market or up to the people. When you’re proud of your own work, that’s the best you can do. Des: We’ve had Rework, we’ve had Remote, is there a chance we’d see Rewrite, Redesign, or Reinvest? Jason: Everyone’s like, “You should do Retire,” of course. Not ready for that yet. The book I have in mind right now is something called Regrow, which is about growing a small business our way, carefully, versus this idea that everything needs to grow quickly and fast. The other book I’d really like to write – actually, this is a class I’ve been thinking about teaching also – this idea called “last week.” The idea would be that every single week I would take one thing we did as a company last week and sort of explode the idea and go deep into it. It could be something like, “What was it like to negotiate a new lease with our landlord” one week. The next week it could have been “The air conditioning didn’t work, so what did we do?” The next week it could be a very difficult decision, or debate, or discussion, or disagreement we had internally. Another week it could be an idea for a new feature we’ve been tossing around. Next week it could be an HR issue. Just one thing from the past week. Maybe it would be a book with 52 chapters where there’d be an in-depth discussion about one specific thing that happens in a real business. It can be any sort of thing, because that’s what you have to deal with in a real business. I don’t know if it’s book material, or podcast material, or blog post material, but if would be interesting and fun to do. Des: We’ll all be looking forward to it. Thank you so much for your time today, Jason. Jason: It was fun to talk to you. Thanks for having me on.